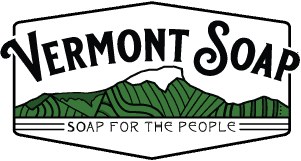 Vermont Soap developed a slow cook process for organic castile soap and unique formula that yields a superior liquid soap base with USDA organic certification from Vermont Organic Farmers (VOF). You will find our liquid castile soap to be mild, foamy, and an excellent alternative to detergent surfactants and petrochemical based cleaning products. We can package your private label organic castile liquid soap in a variety of sizes. We stock 1oz, 8oz, 16oz and gallon bottles or send us your own. Contact your private label specialist for more options. If you are considering expanding your line, outsourcing your in-house liquid soap production, or you have a great liquid organic castile soap idea and are looking for a reliable manufacturing partner to work with, give us a call! We would be happy to work with you to make your liquid soap product. Please see our Private Label FAQ page for more information or contact one of our private label specialists.